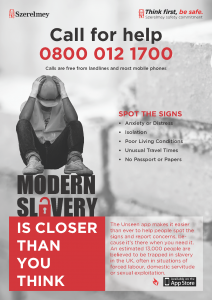 Modern Slavery is a brutal form of organised crime in which people are treated as commodities and exploited for criminal gain. It is a very real and serious problem in the UK at the moment and one that everyone should be aware of. If you spot someone who you think might be at risk, then take action and help. Why should Modern Slavery matter to you? This is something happening everyday in our country. In 2016, the Global Slavery Index estimated there were 136,000 victims of slavery in the UK, with figures since that time likely to have increased. Worldwide, labour exploitation generates more profit than the US banking system; it is a very lucrative business. Modern Slavery can take many forms including the trafficking of people, forced labour, debt bonded and bonded labour, descent-based slavery, child slavery, servitude, slavery and even forced or early marriage. 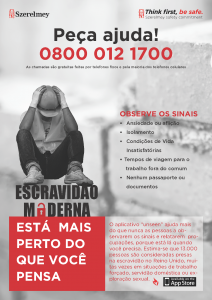 Migrant workers and those that are vulnerable are at particular risk of exploitation and abuse from traffickers and slave masters. It is important to recognise the signs and help people if needed. The Modern Slavery Act 2015 was launched in the UK and has set the standard in legislative terms to increase penalties for people found guilty of exploitation and slavery and to instil a requirement on businesses to ensure the demand for goods and services they generate is not delivered with exploitation embedded. The construction industry faces a number of challenges in tackling human rights issues due to the often-fragmented supply chain and procurement processes. As such it is essential to improve transparency throughout the industry. 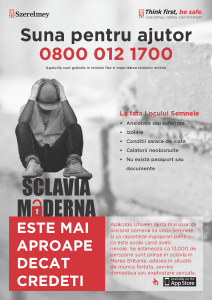 Szerelmey is fully committed to ensuring there is no modern slavery or human trafficking taking place within its business or within its supply chains, including subcontractors and partners. This includes making proper background checks on agencies who supply labour, audits and background checks to the supply chain, training our staff and adhering to ethical sourcing frameworks and certifications.